How’s the weather out there? Does anyone said “Romantic” ? Honestly, though the weather is quite shivering, the cold breezes have taken up the storm but as the valentines week has just started, the weather is only romantic for those who are in love. Most of the divas must have sorted out their clothes for valentines day but for those who are still wondering about what to wear, metroholica is here to lower down their burden, as we give you enormous choices to look completely divine. Love is not restricted for a day or two but why leave a reason not to celebrate it, because being in love is the most Nirvana feeling in the world, while choosing any of the options or suggestions given below make sure that you are comfortable opting that particular style, you should be confident to pull off a style because it is your confidence that makes you comfortable and it is your comfort which will help you in looking stylish. 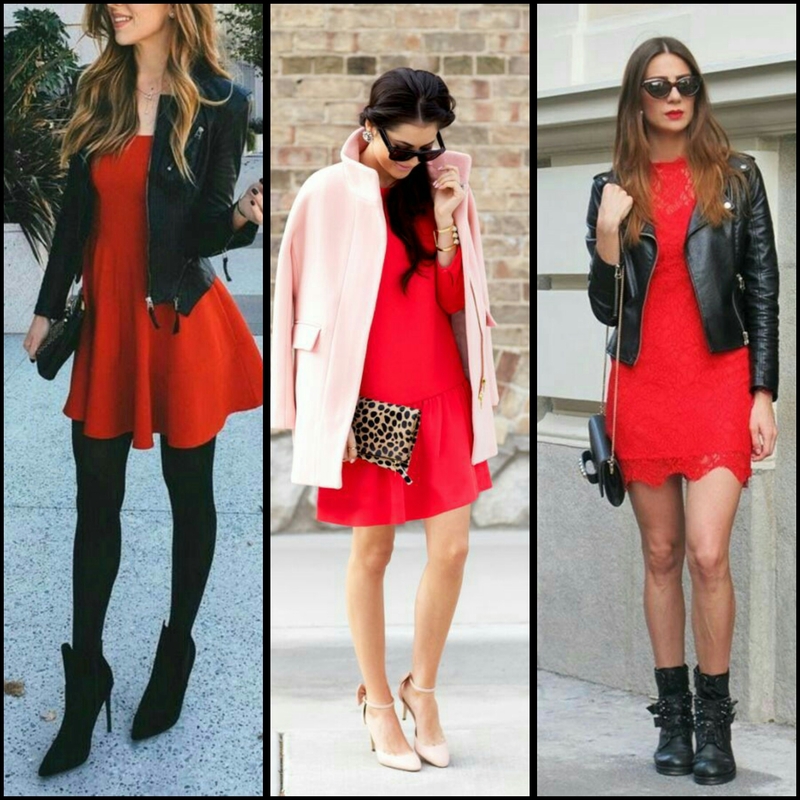 ● Skater Girl– A skater dress or skirt always looks voguish because of its flare which also makes it look feminine. 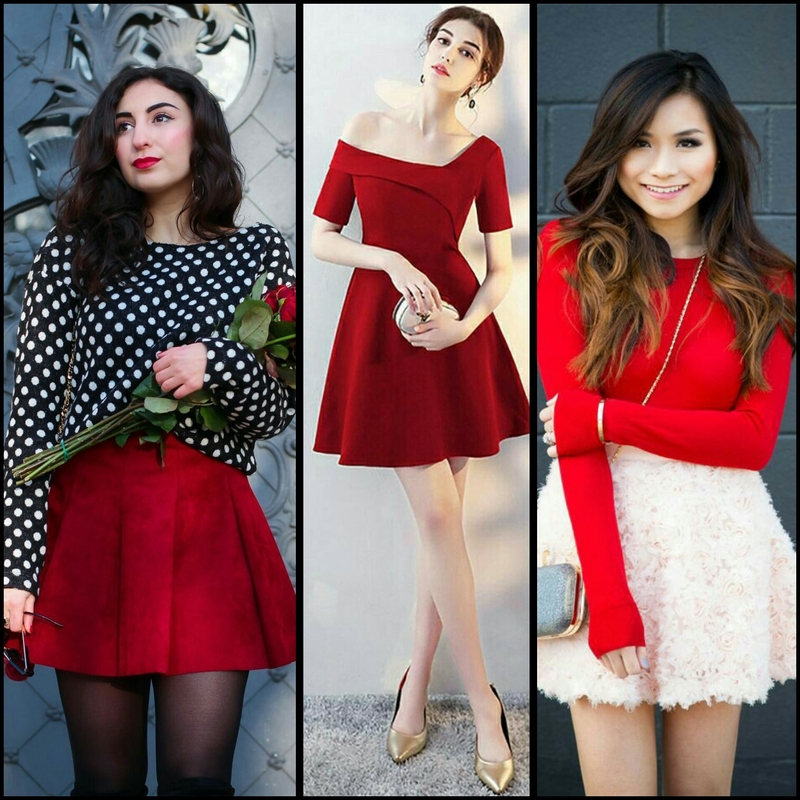 Choose a skater skirt in red or white and pair it up with the contrasting colors like pink, white and black. You can wear a fish net, see through or printed stockings under your dress which will not only add more sophisticated look to your dress but you will be able to wear it anywhere and anytime. 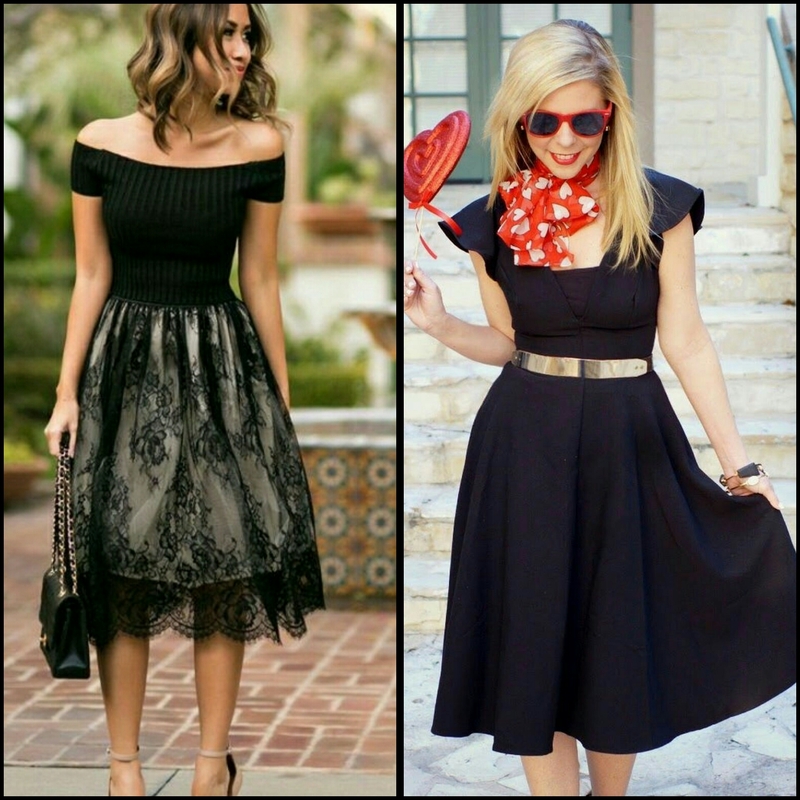 ● Tulle Rule– A Tulle skirt looks very classy and elegant, it can be your friend for the valentines day. Go for a less appealing top like a plain turtle neck top because your skirt is enough for giving definition to your look, you can also wear a chunky neck piece if you are opting for a turtle neck top. ● Everyday Black– If you are girl who loves wearing black on the days which ends with “Y”, there is no need to worry because black color never betrays anyone but if you want to add the valentines touch to your black outfit, you can add a red or pink color scarf, belt, bag or even shoes, it will not only give you a valentines day feel but it will also enhance the beauty of your black dress. 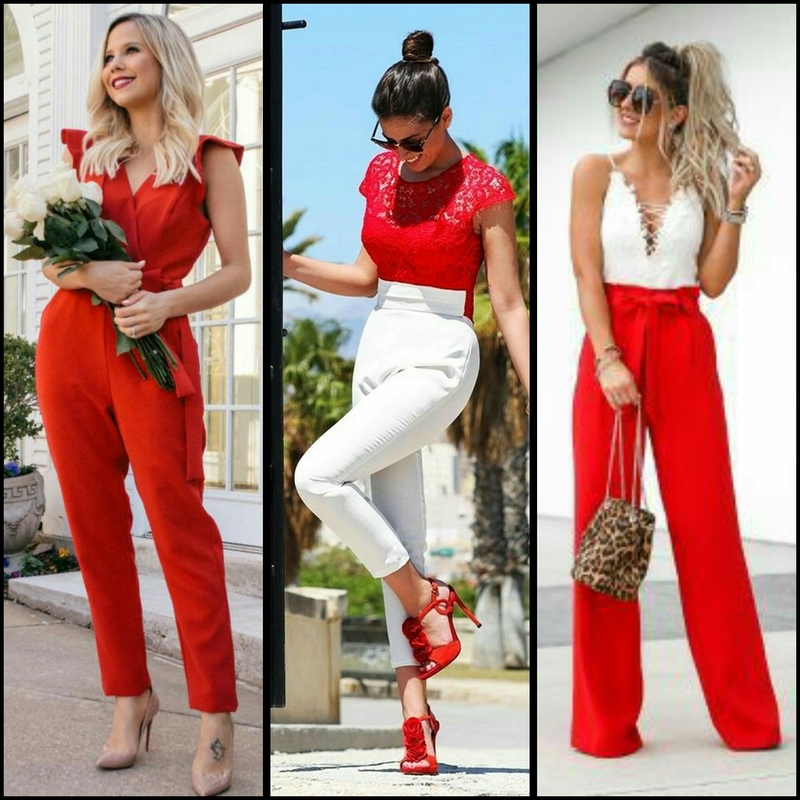 ●No More Dresses– If dresses and skirts are not your first love, you can wear wide leg pants and jumpsuits or high waisted pants in red or pink colour for your valentines day fashion. ● Lace Affair– Lace always aces up the style quotient of any outfit, be it a skirt, top or dress. 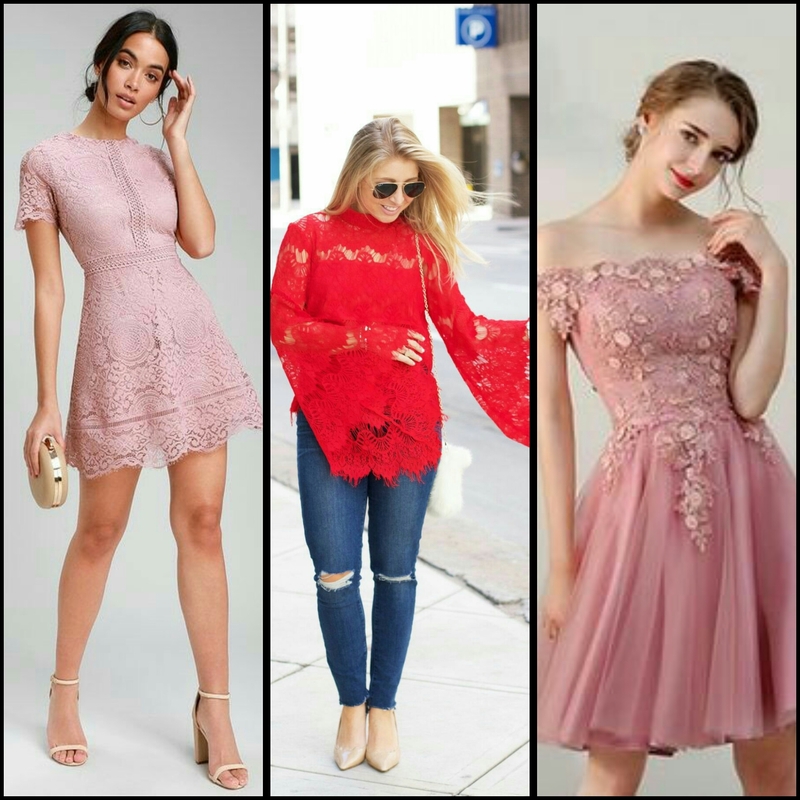 You can select any style of dress which has lace in it for valentines day because lace always looks sassy and romantic. ● Dramatic Silhouettes– Metroholica never leaves a top or dress which has designer sleeves like bell, bishop etc. 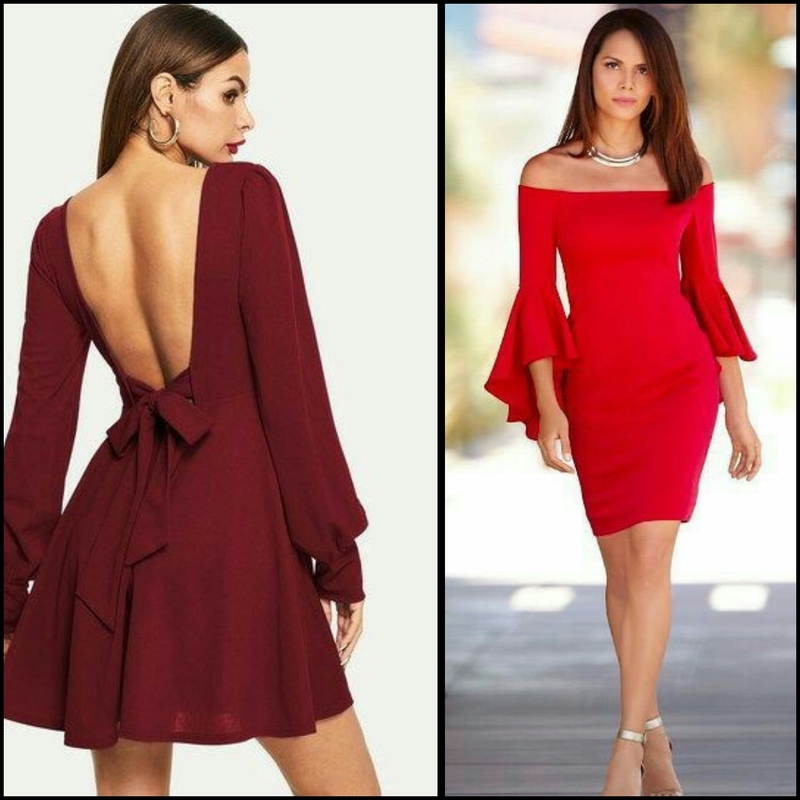 An oversized bell sleeve looks ultra stylish and moreover those sleeves are in vogue these days, so anything which has these sleeves will surely be a perfect dress for valentines day. ● Layering– We all love to dress up and look good always but not all of us can tolerate the cold breezes, so for them layering is an appropriate option. Wear a leather jacket or oversized coat as they can compliment any kind of dress. These were the few options which will make your day hassle free and will boost your confidence to look straight into the eyes of your beloved, so metroholicas, go and shop for these looks for your valentines day whether you are going for a lunch date or a dinner date or even if your partner has a surprise day planned for you, these options are appropriate for any kind of date. Even if you are single and don’t have a date for valentines day, do shop and celebrate the day with your other single friends because love has different meanings for different people and friendship is also a form of love, the only key to a happy life is to be happy and celebrate it everyday….Be Fashionable…!! !